I found this article interesting. What is the biggest tug you have sailed? Has anybody ever been on a 9,000 plus Horsepower? 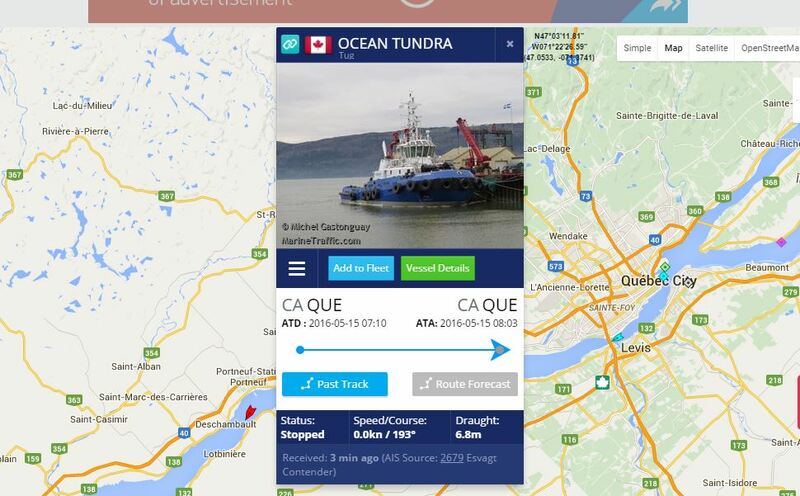 Ocean Tundra – Canada’s most powerful tug enters service. Not sure if they have even a more powerful one now? Anybody know? My current boat is 4000. Is that HP from the Tags attached to the Main Engines or is that what the company Marketed the boat at? Call me Old School but the Only HP that counts is what puts the power to the shafts, pods, not how big the A/C Compressor motor is! Which vessel is this Tups? [QUOTE=Tugs;184929]Is that HP from the Tags attached to the Main Engines or is that what the company Marketed the boat at? The engine package is rated by Dynamometer at over 15,000 and the company sells it for 14,000. NREC-EMD, the blocks were custom made in Poland. 15,000 hp total is pretty good. How many Main Engines? Damn! I hope that’s one big ER! Do you have any pictures of her? It would be nice to see the ER. What was it two engines per shat? That had to be one hell of a Boat. It’s an AHTS so that means it’s a very large tug. It has 2 compound gear boxes. I assumed (I hate that word) that they were compound boxes. I have worked on some pretty big boats but some of those AHTS are a sight to behold.